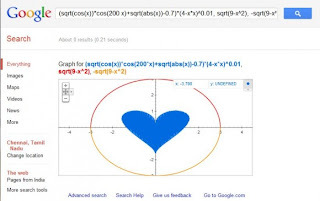 This article is all about new feature of google.Students can now plot mathematical functions including trigonometric, exponential and logarithmic, using Google search. “I still recall the day when my friend Yossi came to school and showed off his brand new graphing calculator,I was stunned by how easy it was to plot complicated functions — meanwhile, the rest of us were still drawing them by hand on graph paper” , Google Inside Search Blog says. 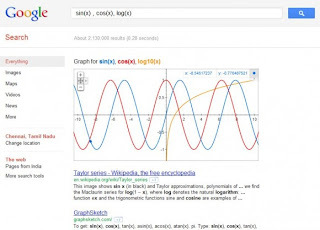 Simply type a function in the search bar and Google will show you an interactive graph at the top of the search results page. You can zoom in and out across the plane to explore the function in more detail.Multiple functions can be plotted by using commas to separate each function. This feature covers a wide range of single variable functions. 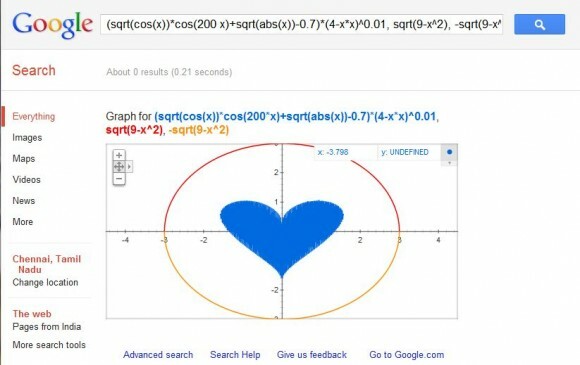 Google calls this “Showing some love to math lovers”. 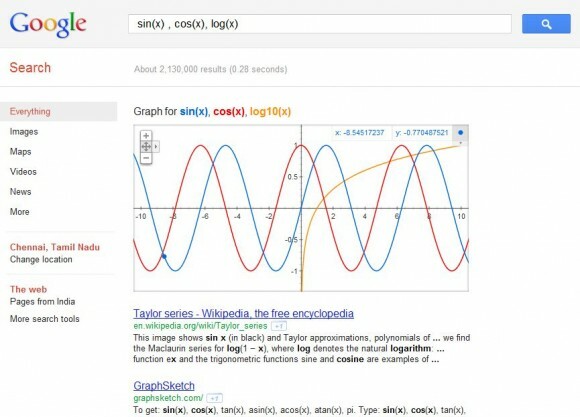 The new feature is cool, but it might be a competition to the Wolfram Alpha. Though Wolfram Alpha provides high-level mathematics and various mathematical options, it is only time that matters. Even Google might implement all those stuff like polynomial solving, PDEs solving ,etc.